When it comes to residential and commercial cleaning in Botany, residents know they can trust the team at Merit Cleaning. With a full crew of professional cleaners offering the cheapest prices on comprehensive cleaning services, you can’t go wrong with our team. Talk to the best cleaners Botany has to offer about everything from strata cleaning to bond cleaning. Serving Botany as well as suburbs all around Sydney, we are the local cleaners near you. Did you know that office productivity can be directly linked office cleanliness? If a tidy desk means a tidy mind, then we think a tidy office will provide a great boost to your employees. For comprehensive commercial cleaning Botany businesses can rely on, contact Merit Cleaning today. We can take care of the cleaning in your office, common areas, kitchen, toilet and more, taking care of every surface along the way. We love doing the work that you don’t have time to do, and you’ll love having an office that can impress clients and colleagues alike. As a professional cleaning company, we offer commercial cleaning Botany office managers know they can rely on for security and privacy. From commercial buildings to single offices and medical clinics, Merit Cleaning will provide a tailored solution for you. If you’re looking for cleaners Botany residents can trust in their homes, look no further than our professional and affordable team. We offer home cleaning solutions to take care of all the work you don’t want to do. Simply talk to Merit Cleaning about the work you want done and we will send you a team of cleaners Botany homeowners can rely on. 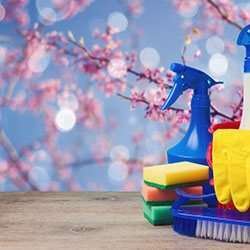 We offer both ongoing and one-off residential cleaning services but don’t worry – there are no lock-in contracts with our team. To learn more about residential and commercial cleaning in Botany and beyond, call us on 1300 063 748 or contact us online.